Quality: When it comes to quality, OEM parts can’t me matched. OEM stands for original equipment manufacturer, which means that we get our parts right from the Mercedes-Benz factory and are made for your specific model. Aftermarket parts are made for a variety of similar vehicles. Durability: OEM parts are built to withstand the test of time and have been tested by the same engineers who designed them to ensure long lasting quality. Protection: The last benefit to OEM parts is that they have the factory standing behind them in the event anything goes wrong. Many aftermarket parts don’t come with a warranty at all to protect you if there is a defect. Our parts department has a fully stocked inventory of all of the parts and accessories that your Mercedes-Benz needs. 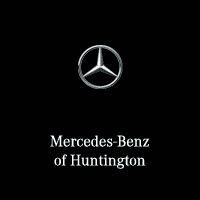 Whether you choose to have your vehicle serviced with us or prefer to do the work yourself, be sure to get your parts here at Mercedes-Benz of Huntington. Below is a list of the most commonly needed parts and why they are important to your Mercedes-Benz’ performance. Oil & Oil Filters: Engine oil is the lifeline of your Mercedes-Benz. Engine oil keeps all the moving parts of your engine running smoothly while the filter cleans out gunk and dirt. Oil may be one of the easiest services, but also one of the most important. When oil gets dirty it doesn’t keep the pistons moving as smoothly, which can create friction causing your engine to overheat and seize. Routine oil changes also improve your fuel economy because when everything is running smoothly your engine isn’t working as hard. *Oil changes for MY08-older. Battery: Your battery may be the second most important part of your Mercedes-Benz as the battery provides power to start the engine. It is important to have your battery checked regularly to make sure that you don’t end up stuck on the side of the road with a dead battery. Brake Pads: There are a lot of moving parts but brake pads help bring your Mercedes-Benz safely to a stop and over time you will need to have your brake pads replaced. Brake pads wear down a little bit every time you step on the brake. Eventually there won’t be enough pad to properly grip the brake disc and stop. Wiper blades: Making sure you can clearly see the road ahead is vital and your wipers won’t last forever. So be sure to inspect them from time to time to make sure they are in good condition to keep your window clear. Headlights: We have all had a headlight go out from time to time, even the new LED lights go out. And when a light goes out, our parts department has you covered. Just tell them what model and year your Mercedes-Benz is and we will find the exact bulb your vehicle needs. To order parts for your Mercedes-Benz give us a call at (855) 421-3893 or stop by the dealership and speak with a member of our team today! You can also fill out the parts order form. At the Parts Center at Mercedes-Benz of Huntington, you’ll be certain you can find any and all Mercedes-Benz OEM parts you’ll need. Whether it is a Mercedes-Benz Brake Caliper, Mercedes-Benz Genuine Headlight, or a Mercedes-Benz Oil Filter, our friendly and helpful Parts Advisors will be more than glad to assist you with your parts purchase. If by chance we do not have a part in stock, we will be more than glad to order the part for you to have it here in no time. Any genuine OEM Mercedes-Benz part can be ordered by our Parts Advisors, whether it is a Mercedes-Benz Mirror, OEM Mercedes-Benz Radiator Hose, or Genuine Mercedes-Benz Spark Plugs, we make sure you get the best Mercedes-Benz parts in the quickest way possible. You’ll also find our luxurious and exciting Mercedes-Benz Boutique in our Parts Center, where you can find all sorts of Mercedes-Benz Genuine Accessories and Apparel. Take a look at our Mercedes-Benz T-Shirts, Mercedes-Benz Key Chains, and Mercedes-Benz Hats. If you’re looking for something special and unique, you will love our Mercedes-Benz Watches, Mercedes-Benz Jewelry, and Mercedes-Benz Tote Bags that are a part of the Mercedes-Benz Lifestyle Collection. While you get your Mercedes-Benz serviced and maintained, or if you are browsing through our showroom, be sure to check out our boutique for the latest and greatest accessories from the Mercedes-Benz Lifestyle Collection.